The new Milwaukee Mi160 pH/ORP/ISE/Temp bench meter is ideal for very accurate and precise measurements for all laboratory needs. The Milwaukee Mi160 can perform ion-selective measurements directly in ppm, as well as pH, ORP and temperature measurements. pH calibration can also be performed in 3 points selectable between 7 memorized buffers, to provide a very accurate calibration curve even when testing different samples, where very wide differences in pH can be found. Thanks to the memory it can store up to 50 data sets for each range that can be downloaded to a PC via RS232 or USB. 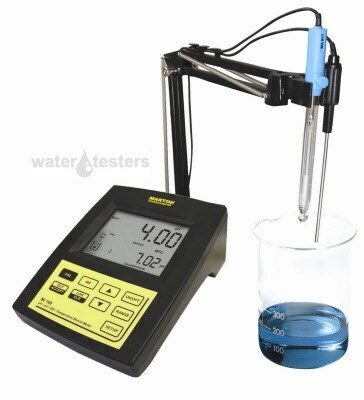 These instruments also have GLP features so, at anytime, the user can recall the calibration data.